Although I have no experience in Italian tuition, I am a native Italian speaker and I have a very good spoken and written knowledge of the language. I do however have experience tutoring other subject. Over my first two years at university I helped an As and A-level student from my old school, particularly during her exam period (i.e. : one on one revision sessions, helping out with coursework and writing sets of revision notes) in Maths, Biology and Physics. 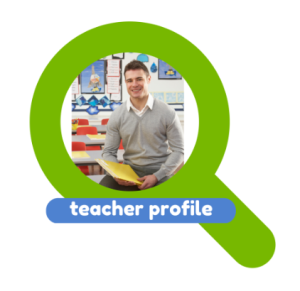 Early in 2011 I joined the Blue Tutors agency, where my teaching skills were assessed and received full accreditation. In October 2013 I did weekly one-on-one GCSE maths lessons for the month leading up to an exam. As well as the lessons, I made revision notes for the student, whose mark increased from C- to B. From January to April 2014 I was Project Coordinator and voluntary teacher in a weekly extra curricular activity “Code Club”, a basic computer programming workshop at Pimlico Academy. Generally about a dozen 13-14 year old students attended. From mid February I have been giving maths tuition to an Italian student in Turin. The student has very poor results so far but since we began the one-on-one sessions she has made great progress. I prepare and deliver 4 hours a week of lessons, assign exercises and evaluate progress through small tests. My approach to teaching is generally quite friendly: I believe that at a subconscious level, a student will be much more inclined to listen to and learn from a person they trust and look up to. However, I also believe the teaching style must be suited to the student, and largely depends on the subject being taught. A particular technique which I have learnt from Blue Tutors and have tried to implement ever since, is to try and lead the student to the answer by asking the right questions, rather than just giving him the answer. In terms of my own education, I was schooled at the European School in Culham (Oxfordshire) where I studied Italian as my first language and obtained 9.57/10 as my final mark in the subject and a 87% overall final mark. At university level I completed an MEng in biomedical engineering from Imperial College London, achieving an Upper 2:1 overall classification.